It was the most glorious evening when we arrived in St Mawes on a Thursday in mid-May; one of those “this is why we live here” moments. The view across St Mawes harbour to The Idle Rocks. Credit: Ellie Michell. 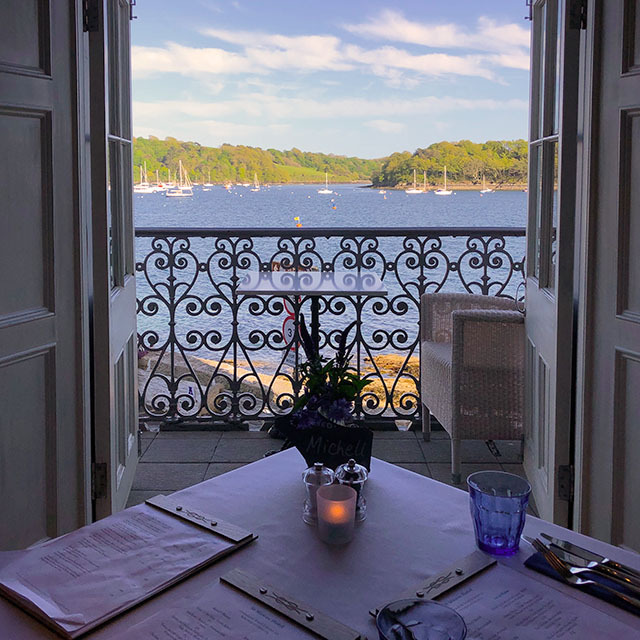 We had been invited to a Live Arts dinner and theatre package at The St Mawes Hotel, incorporating dinner and a live screening of Macbeth from the National Theatre in the hotel’s Hidden Cinema, somewhere I’d been keen to visit for ages. The St Mawes Hotel. Credit: Drew Gibson. 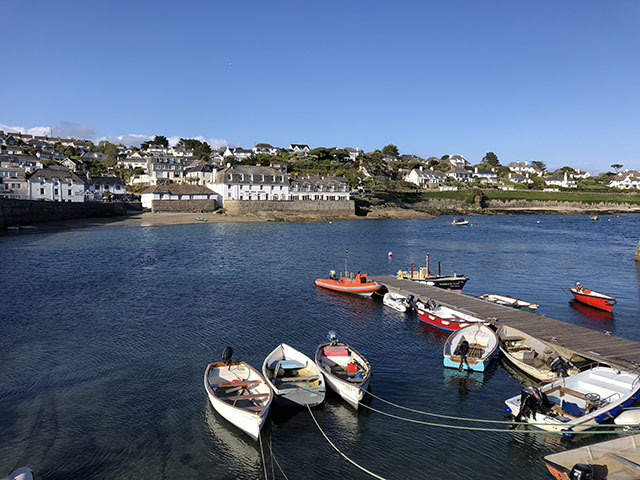 The St Mawes Hotel is owned by David and Karen Richards, who also own The Idle Rocks, and was opened in summer 2015 after a comprehensive refurbishment. The interiors were designed by Karen Richards, and she has achieved a comfortable and relaxed atmosphere. The mix of contemporary and traditional furniture and decor gives a nautical feel; the place is informal yet exudes quality. 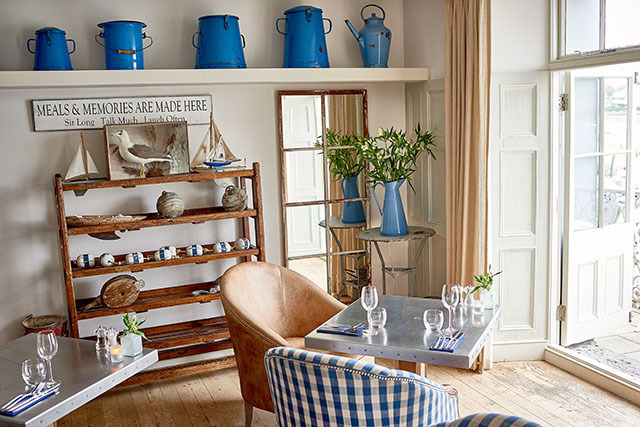 Lower Deck, The St Mawes Hotel. Credit: David Griffen. 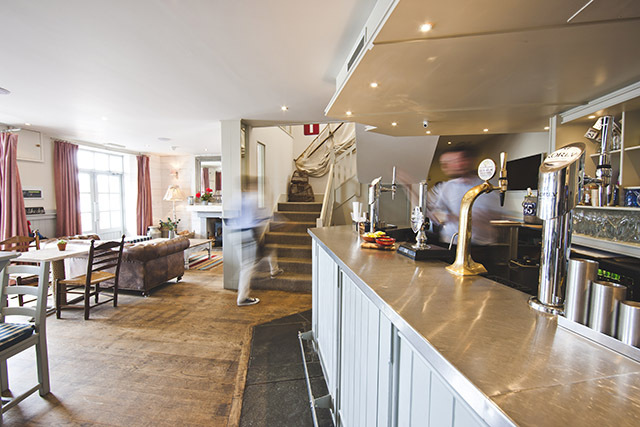 The bar, The St Mawes Hotel. Credit: Drew Gibson. On both floors (or upper and lower deck as they are known) are tables and chairs, and log fires with comfy sofas and armchairs. A wonderful place to relax with a G&T and a book, should you be lucky enough to have the time. 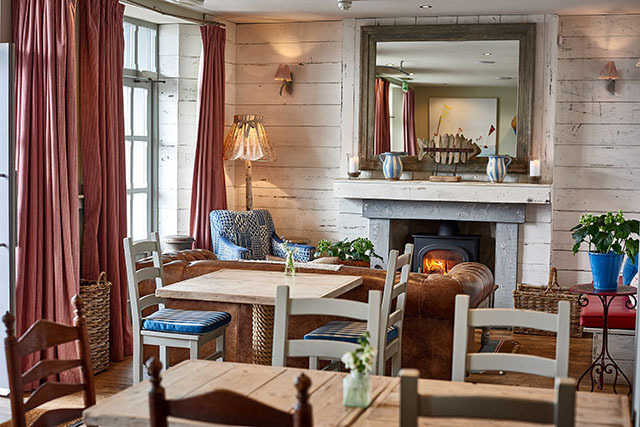 Upper Deck, The St Mawes Hotel. Credit: Drew Gibson. Throughout the dining areas there are lovely touches, with quirky decorations, beautiful paintings and lamps, and shelves of books, helping to make you feel at home. The rooms are flooded with light, and we were thrilled when we were shown to our table, which had the most spectacular view over the water (my photo doesn’t do it justice). The view from our table. Credit: Ellie Michell. For the Live Arts dinner and theatre package we could choose any main course and a glass of house wine. My plaice was perfectly cooked, piping hot, and packed full of flavour. It was served with a generous quantity of capers and beurre noisette, new potatoes and salad leaves. Jim opted for the monkfish from the specials board: roasted monkfish tail with butterbeans and a rich and creamy smoked salmon and mussel broth. 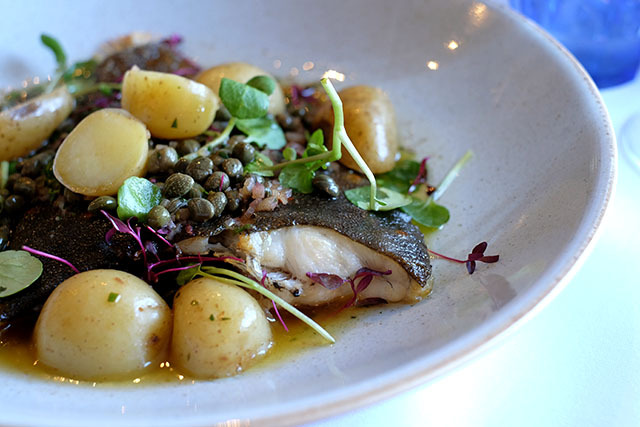 Whole plaice with caper beurre noisette, new potatoes and salad leaves. Credit: Jim Michell. 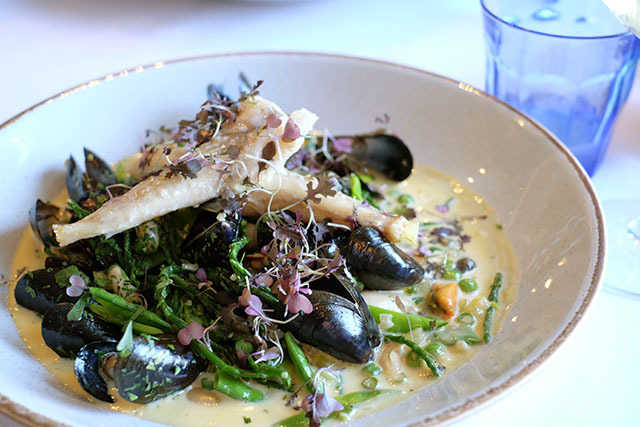 Roast monkfish tail, with butterbeans and a smoked salmon and mussel spring broth. Credit: Jim Michell. Our food was perfectly complemented by a glass of crisp, dry white house wine, and it would have been very easy to sit at our table all evening, soaking in the atmosphere of such a beautiful sunny evening. But just before 7pm, we were ushered through to the Hidden Cinema. 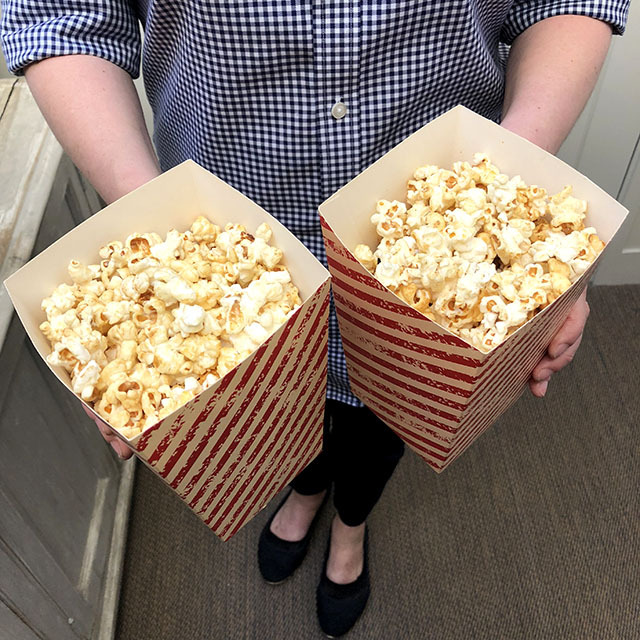 We were greeted with the smell of popcorn as we walked through the first door and, much to our delight, presented with giant tubs of warm popcorn to enjoy whilst watching the live screening. 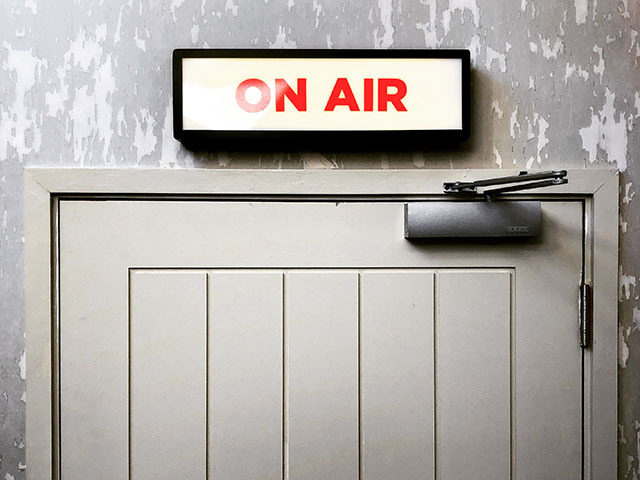 On Air. Credit: Ellie Michell. We entered the 25-seat cinema in near darkness, and found our seats. And oh, what seats. These were first class cinema seats, fully reclining at the touch of a button, hugely comfy, with drink holders and snuggly blankets. Within minutes, I was so relaxed my Fitbit thought I was asleep. The Hidden Cinema at The St Mawes Hotel. 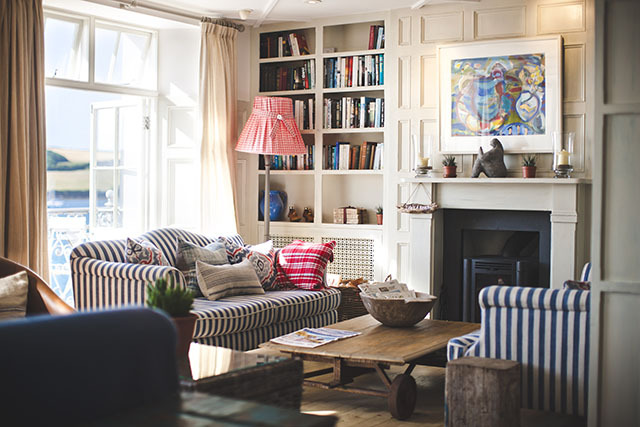 Credit: The St Mawes Hotel. 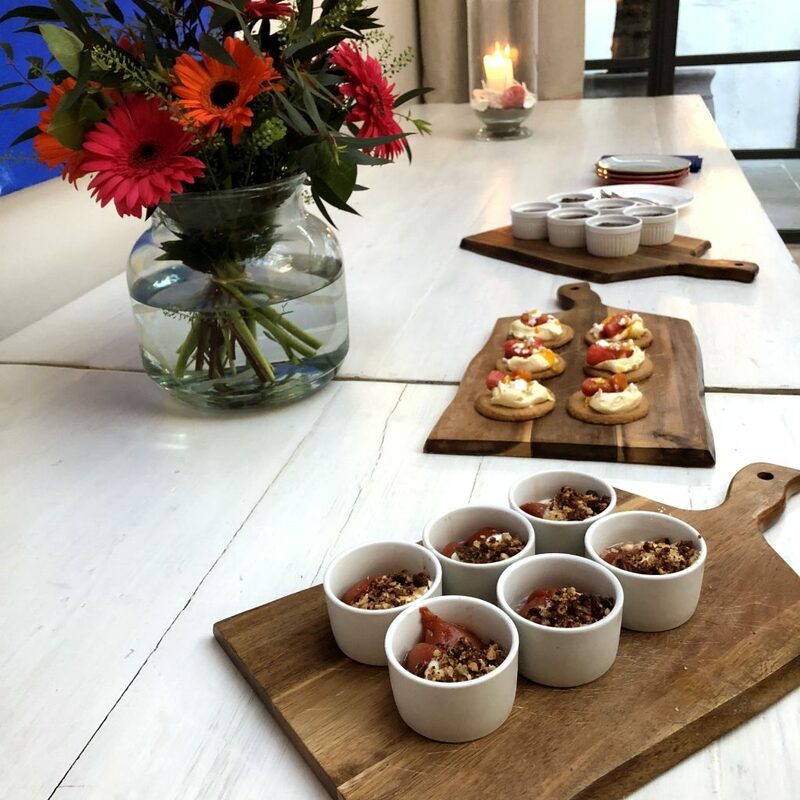 Dessert canapés at The St Mawes Hotel. Credit: Ellie Michell. The NT live screening was wonderful; I love the fact that we can watch top quality performances without having to travel to London and the schedule of Live Arts performances is impressive. Live screenings can be seen at cinemas across the county, but having experienced the Hidden Cinema, it’s going to be hard to go back. During the interval we were shown into the Courtyard Room for another drink and dessert canapés; the mini sticky toffee puddings and plum crumble were divine. Once the film ended, we reluctantly extracted ourselves from our seats, but as we went back downstairs to the bar we were lucky enough to catch the end of the practice session of a group of local sea shanty singers. A fitting end to a picture perfect Cornish evening. The hotel is beautiful, the food was delicious, and the Hidden Cinema was brilliant. I would highly recommend visiting for one of the Live Arts events and combining with dinner, or even an overnight stay. There are regular film nights throughout the year, often with dinner packages, and live screenings of Six Nations rugby matches and Formula 1 Grands Prix. 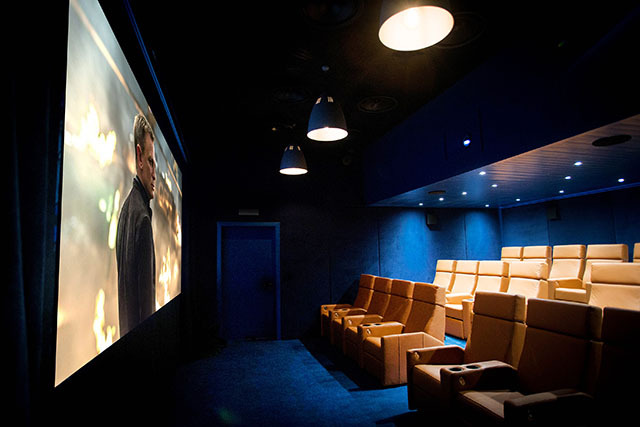 The Hidden Cinema is also available to be hired for private screenings. For full information visit the hotel’s website. 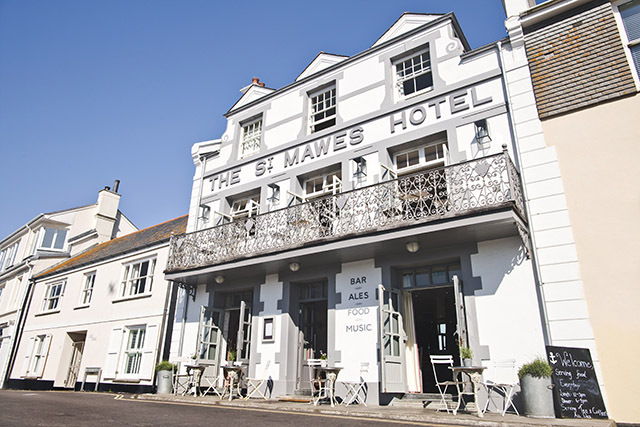 Disclaimer: The St Mawes Hotel invited us to their Live Arts event, and treated us to dinner, drinks and the live screening. Thank you to the team for looking after us so well.